Once or twice a month, First U hosts a “First Forum” on a currrent topic pertinent to religious or spiritual life. 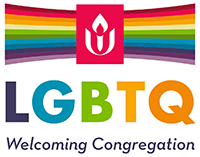 All are welcome; find details for upcoming forums in First U’s event listings. First Forums on third Sundays are organized by the Social Justice Council. For more information, please contact Evan Freund at evan17 (at) evanfreund.com. First Forums on other Sundays may be organized by the First Forum Committee. In September and October, for example, the committee has arranged for presentations and discussions centered on end-of-life and death with dignity issues. For more information, please contact Richard Pardo at pardo.richard (at) comcast.net. Interested in the history of Unitarian Universalism? What a Long Strange Trip it’s been! Discover and discuss the details with First U friends in a six-meeting series of video screenings and discussions. Second Sundays, September through February; details in First U’s event listings. All are welcome. For more information, please contact host Allan Lindrup at uusj (at) sbcglobal.net. Each church year, the Adult Education Committee puts together a schedule of educational and enrichment activities offered by and to First U members and friends, whether through special courses or small groups. Brochure for Fall 2018 (pdf). Announcements concerning adult education can be found here. For more information about the Adult Education Committee, please contact Phiefer Browne, Chair, at phieferbrowne (at) comcast.net.